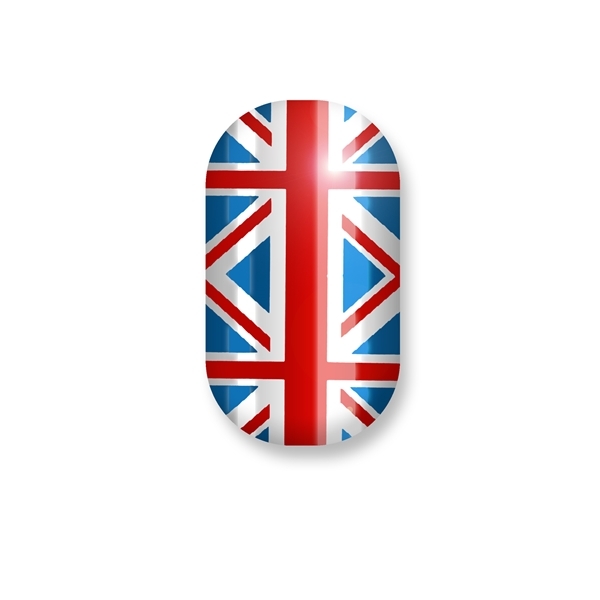 These metallic Union Jacks will bring out the Brit in you. Under a gel manicure - Protects your nails and allows for a fast and easy removal process. Over nail polish - Apply Minx Coat over your nail polish and watch your mani last longer than ever! Under acrylic - Say “see ya later” to the ouch factor of taking off acrylic nails! Minx coat prevents damage to the nail too. Natural nails - Protects your nails from every day wear and tear while adding a subtle shine. With polish - Paint your favorite nail polish directly onto Minx Coat then apply to your nail for a flawless no mess application every time.